Reduce your dependence on your electricity supplier with the SolaX X-Hybrid battery storage system. Solar panels generate the most energy during the day when the sun is shining and when you and your family tend to use the least energy or have the lowest consumption levels. With ever increasing energy prices and the on-going phased feed-in tariff reductions, you want to make the most out of your solar energy. 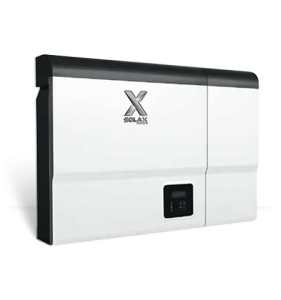 The SolaX X-Hybrid ‘Self-use Energy Storage System’ is the perfect solution, enabling you to get the most out of your solar energy both today and in the future. The ground-breaking X-Hybrid is much more than just an inverter. It is an intellegent, integrated system that manages the energy you generate effectively and efficiently, storing surplus energy in batteries for later use. With a standard inverter a typical solar powered property will use around 25% of the free energy it generates; exporting the rest to the grid. With X-Hybrid, ‘self-use’ can increase to in excess of 80% – providing both financial and practical benefits to the customer. A solar battery storage system is only as good as the batteries it uses. The X-Hybrid uses the best Lithium Iron Phosphate (LFP) batteries available on the market today offering deeper depth of discharge and a considerably longer lifespan when compared to lead-acid alternatives. Furthermore, the lithium battery bank is modular, and can be easily expanded by slotting in an extra battery unit if extra capacity is needed, a process that takes only minutes. In homes that have a solar photovoltaic system, electricity generated by the solar array is first used to satisfy the electricity demand in the home. However, when there is more electricity being generated than being used, an ordinary system allows the excess electricity to feed back into the electricity supply, which is then sold on to your neighbours. 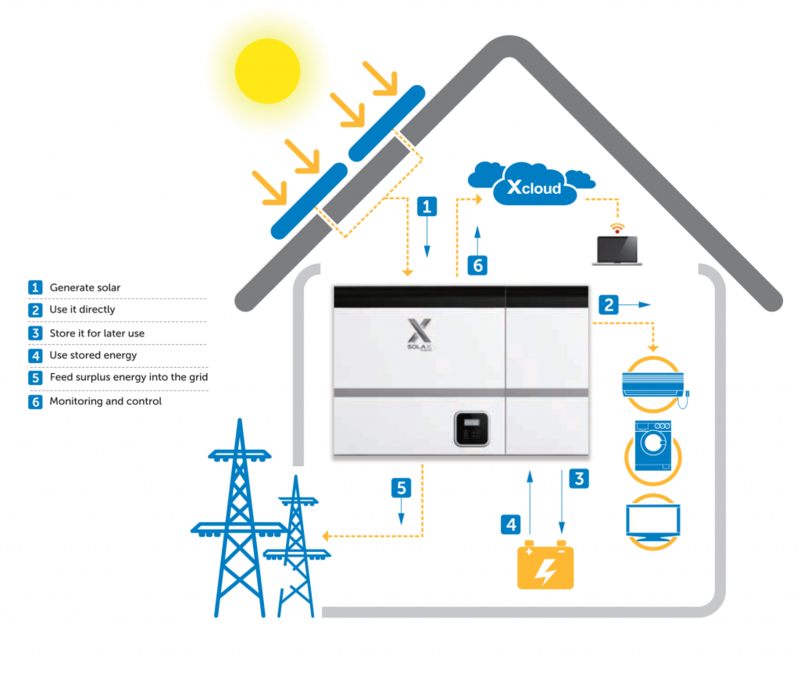 The X-Hybrid system intelligently manages the generated electricity from solar panels. Instead of allowing all of the surplus electricity to be exported to the grid, it stores it in its batteries. Later, when the demand for electricity is more than the solar panels can supply, the X-Hybrid then uses the stored electricity rather than taking all the power from the grid.